Viessmann has won a highly coveted HVR Award at this year’s ceremony, clinching the top spot in the Commercial/Industrial Heating Product of the Year category for its new Vitocrossal 100 boiler. 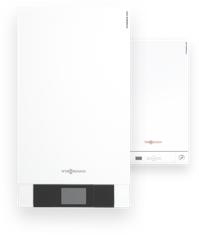 Viessmann launched the Vitocrossal 100 – an exceptionally compact floor-standing commercial boiler – earlier this year, and it is already being specified and installed in buildings where plant room space is limited. The boiler’s small footprint was achieved by the design of an innovative new stainless steel heat exchanger. It is the first floor-standing gas-fired condensing boiler on the market to feature Lambda Pro technology for optimum performance and efficiency. There’s a choice of seven Vitocrossal 100 models, ranging from 80 to 320 kW, plus the option of a twin cascade within a single casing for up to 640 kW. As standard it delivers the benefits of a high water content boiler with no minimum flow rate requirement, no boiler pump requirement and subsequent savings on electrical running costs. Organised by Datateam Business Media, and in its eighth year, the HVR Awards is a celebration of innovation and excellence in the heating and ventilation industry.